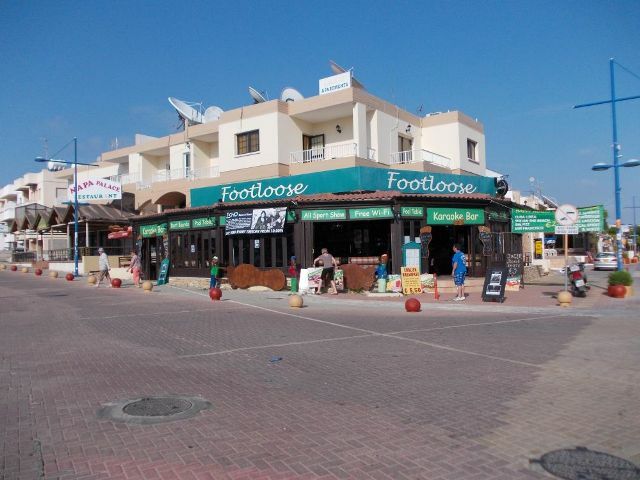 Footloose Bar is located at the start of the Ayia Napa strip (Ayias Mavris). 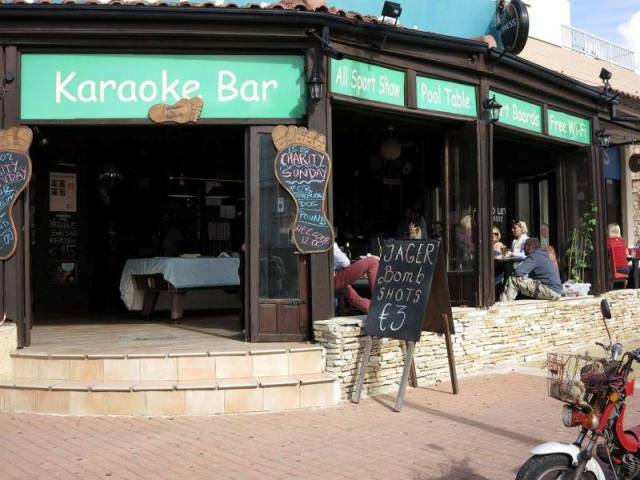 It is open all year round and serves breakfast, lunch and dinner as well as snack and drinks through into the early hours of the morning. 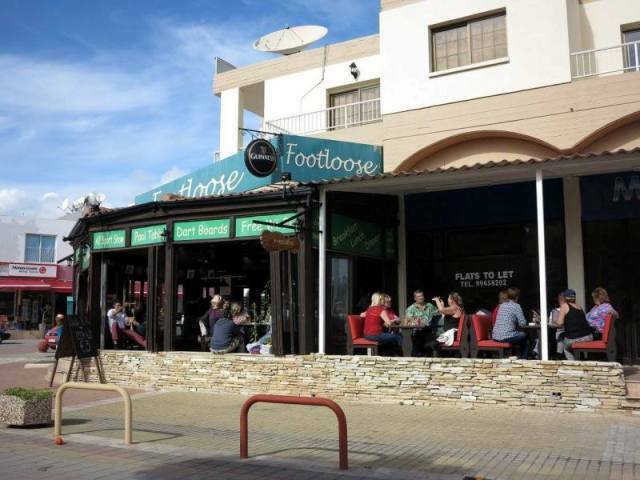 Footloose bar has pool tables and dart boards and also has regular karaoke nights and special events. Their Salsa and Latin night is a popular weekly event. The closest hotels to Footloose bar are Millies Apartments and Salmary Apartments.